Why do we need other people's approval? Do you want the acceptance and approval from a parent, family member, spouse, etc? In order to understand why we want other people's approval, I'm exposing our old thought processes and how we think as a child. In order to understand why we feel a certain way about acceptance, we must take a look back to our childhood, specifically the process of learning how to walk or ride a bike. In order to understand the value of someone else's approval we must examine what happens when we ... See More get their approval. What happens when you've been doing everything possible to get another person's approval and they keep holding it over your head? Are you ready to flip the script and take your power back? If you're ready, I'm offering my step by step method for overcoming this outdated thought process and adopting a new wise and accurate perspective that will serve you well. 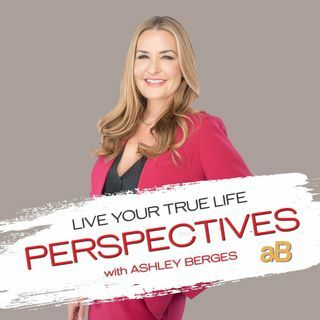 Listen to the podcast and get step by step advice on how to let go of needing other people's acceptance and finding it within yourself. Please share this podcast with anyone who is going through this because the video will help them to find their true self. Please take time to like the podcast if it helps you and comment in the comment section. I read all comments and really appreciate you and your perspective. As far as approval, I sometimes experience it. The job. The boss. Can't get a raise. Can't move higher because they won't let you. My room has piles of paper. My kitchen table is always a mess. I always have to have stuff out where I can see it. I'm junky. It does no good to be neat because I'll be junky again lol. I don't try to impress people and wait for approval, but sometimes I do need advice and seek help. There are a lot of people that don't like to help, so I never really thought people were the answer in the first place. I just experiment while being creative, have fun, and most of the time I'm in it by myself. It's sad about people. When you try to reach higher standards, people criticize. So why wait for their approval?